A comprehensive online course that covers all the essentials of both WHMIS and GHS (Globally Harmonized System). GHS is here – Are you ready? The Global Harmonized System (GHS) was adopted by Canada in 2015 and as a result WHMIS has changed. The old WHMIS is known as WHMIS 1988 and the updated WHMIS is called WHMIS 2015. Employers need to provide WHMIS training to all workers at facilities where hazardous chemicals are used. Suppliers are already sending WHMIS 2015 labels and SDS documents now and your workers need to be trained to understand them. 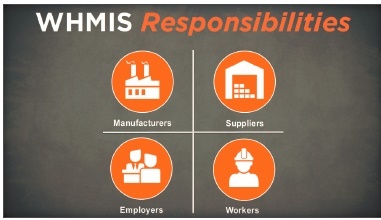 Your workers need to understand both the WHMIS 1988 and WHMIS 2015 systems through the transition period. 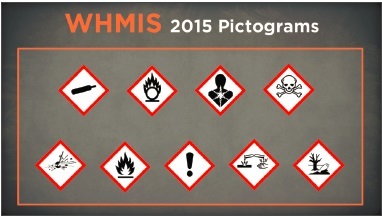 WHMIS: with GHS is a comprehensive online course that covers all the essential elements of WHMIS 2015. Entertaining, interactive and engaging WHMIS 2015 addresses WHMIS from the worker’s perspective. WHMIS 2015 is authored by Chemscape under the guidance of an Industrial Hygienist who is certified with the American Board of Industrial Hygiene.